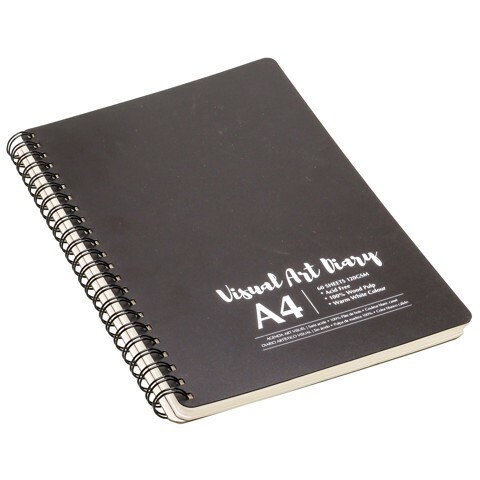 Visual Art Diary A4 60Sh 120Gsm. A4 21 x 29.7cm. Black Cover l Warm White Pages. 120gsm paper l PP cover 1.2mm Thickness l Wire Spiral 1mm & 21mm Dia l Cardboard Back 2mm . 0 Packaging: Bulk Pack.